Raise your hand if you love the holidays! The holidays are a ton of fun and always bring lasting memories but let’s be honest, they also bring stress. It’s no secret that the expectations for having the perfect holiday are always high, so that’s why we’re going to let you in on a little secret that is sure to make your holidays easier this year. I’ve partnered with La Madeleine as a Holiday Ambassador and a few weeks back, our friends there gave us a sneak peek of their delicious holiday favorites menu that allows families of all sizes to enjoy fresh, French country-style dishes with ease. 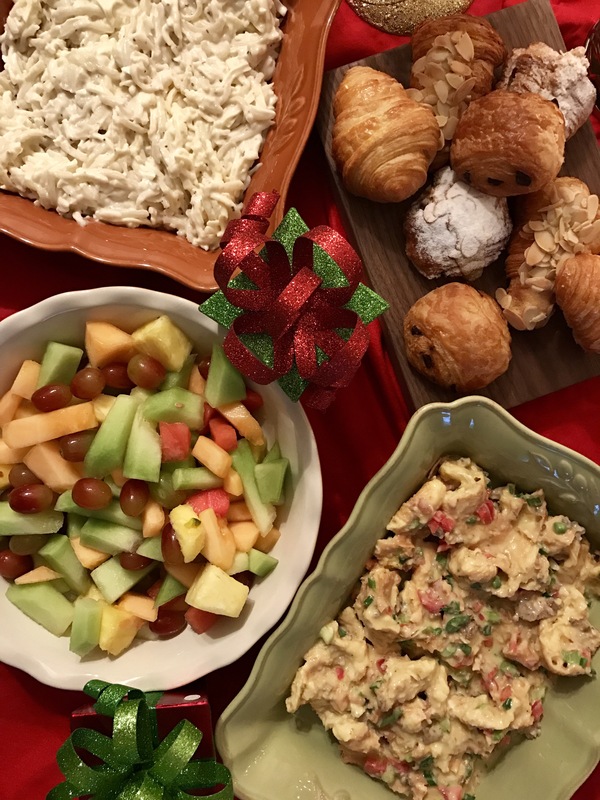 Since we couldn’t wait to get the holiday festivities started, we hosted a holiday brunch and La Madeleine brought the food! These items are available a la carte or as part of La Madeleine’s brand new Take Home and Bake Country French Brunch option. All items are “made in house to order” and the Take Home and Bake packages are available for groups of 4-6 and 8-10. The folks at La Madeleine just asks patrons to place their orders at least five hours ahead of time so that everything can be prepared fresh and ready to go when you arrive. That means you can totally space out and forget that you’re having company and La Madeleine will still save the day! Alongside the Take Home and Bake Country French Brunch, La Madeleine offers other holiday favorites that you can order as well including pies, adorably decorate cookies and more! So, whether you’re hosting a large party or just want to make your life easier without an occasion in mind, be sure to check out your local La Madeleine! To learn more or to place your own order for the Take Home and Bake Country French Brunch or their other holiday favorites please visit their online ordering page here.